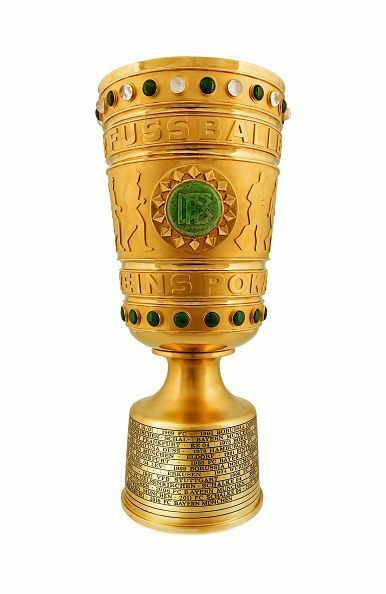 Goals from Jérôme Boateng (12’), Thomas Müller (40’), put Bayern past Dortmund in the DFB Pokal round of 16 fixture. Dortmund’s goal from Andriy Yarmolenko (77’) sparked some life, but it was too late. It was the home side Bayern Munich that came out victorious in the second ‘Der Klassiker’ of the season. This was a fair result as Bayern have been in fine form, with 14 wins in their last 15 games this season, while Dortmund have had a terrible first half to the season; only 3 wins in their last 15 games, which led to the sacking of manager Peter Bosz earlier this month. The new man in charge of Dortmund, Peter Stöger, won his first 2 league games with Dortmund but failed to impress fans with a disappointing result tonight. Stöger set up his Dortmund side to play an unusual three-man defence with Marcel Schmelzer and Jeremy Toljan reinforcing as wing-backs. However, this clearly did not work, as Dortmund did not get any control over the game, and went 1-0 down early on. Dortmund this season have mostly played with a four-man backline, and they were unable to adapt to the different style. Stöger understood this and subbed on Mahmoud Dahoud (midfield) for Marc Bartra (centre back) in the 34th minute, and switched back to a natural Dortmund shape. The players at Dortmund suit a more attacking style of play like they played under Thomas Tuchel last season. Stöger’s new system that he deployed tonight was much more defensive and pressure-absorbing, which wasn’t effective at all.